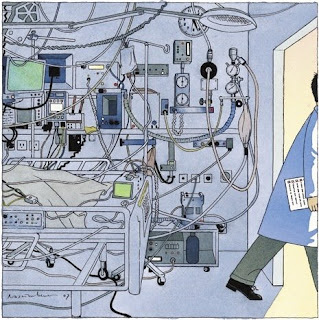 In the December 10th issue of the New Yorker, Atul Gawande wrote a fantastic article on how intensive care units are trying to improve survival rates. I worked with Life Sciences companies before Kellogg and even interned at Becton Dickinson, a company that makes and sells a lot of hospital products. Those experiences taught me how deeply care providers and really anyone in the Life Sciences industry cares about patients. Folks, they care about their jobs and the good they do on a daily basis more than many of us could ever imagine. The article talks about how difficult it has been to roll out the checklist nationally. If it was a new drug, there would be reps pounding down the doors of physicians, and company execs calling on insurance companies and hospital administrators. There isn't a huge profit incentive with something like a checklist so getting people's attention is a little more difficult. The patient survival numbers are pretty amazing though. I'd love to hear the thoughts of Kenny Kellogg readers, especially those in Healthcare.